e-licktronic Forum • View topic - Noise section trimmer voltage? Re: Noise section trimmer voltage? Once I got a reliable mVAC reading, solved the problem easily using a trimmer pot on R127, and once I was in the correct resistance range, adjusting TM4 was so easy. Yes a true RMS volt meter is neccessery. Or you can use a (digital)scope. And i can't say it enought, be sure to check out the tr808 service manual. There's a change in the noise circuit that fixes an error in the original design with the bias gain margin. This fix has not been implemented in the Yocto design. There was a modification on the original TR-808 which has not been respected in the Yocto. Have you tried it? It worked for me. Replace R129 (330k) by a jumper (0) and replace R311 (330k) by a 100k. Also replace R127 (47k) by a 10u capacitor. 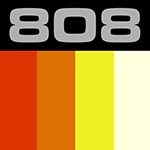 Have a look page 15 of the TR-808 service manual. R311 is 10k NOT 330k (0n yocto and on the 808 schematics) and is not in the noise circuit,plz explain. Please download the Service manual, it has the adapted schematics, the 22p capacitor is paralel to a resistor iirc. The 808 service manuall is an invaluable tool for the Yocto built if you ask me, it has plenty of information, calibration values etc. I've started assembly of the Yocto and i've encountered a similar problem. My cheap multimeter isn't stable in metering of mV in AC. With the resistor R127 of 4.7k i read approximately 80 mV or less, so i've swapped R127 with a multiturn trimmer and, with a value of 850 ~ 1.5K i've the right value in mV, but i'm not sure that's the right way. Some suggestion? I've bought a true rms multimeter. Unfortunately the result isn't changed. Then i've decided to try the new configuration contained in the service manual of the true TR-808. The results was not the best. I've got a much higher current, but hardly adjustable by trimmer, because of the curve too steep. Moreover, this change adds, in my case, a bad noise in the tail, which goes to dirty the sound of the toms. So I removed and restored everything, except for R129, replaced with the value of 1K. Now the toms playing well again and the handclap is almost acceptable, but the value in mV is always much lower than should. Maybe it's because your 2SC828 need an hFE of at least 300.
gihaume wrote: Maybe it's because your 2SC828 need an hFE of at least 300. Thank you for the answer! I haven't studied electronics at school unfortunately. In fact i'm quite surprised that i have completed this project, although I think that the assembly requires only a good manual dexterity. This is the first and apparently the only problem that i've encountered in the implementation of the project which is impairing the functioning of the whole drum machine. Even the snare does not sound good... seems a tom, maybe because the white noise is important to simulate the tailpiece. Do you think that change the transistor can solve the problem? Yes, noise is very important to get the proper 808 snare sound ! I also don't know electronics very good. This trick is from a friend which is better than me, and I have to say that among the several Yocto I built, this theory would accurately explain why each time it was possible or not to get the right value via the trimmer. Also it would explain why there were people who had the issue and other not.